It wasn’t a disaster weather week, but spring was definitely put on hold. It was a mixed bag of cold rain, thunder storms, cold mornings, flat calm overcast and inconsistent winds. We had everything except for sustained sunshine. Water temps remained mostly steady with the main lake in the high 40s and the protected bays in the mid to upper 50s. 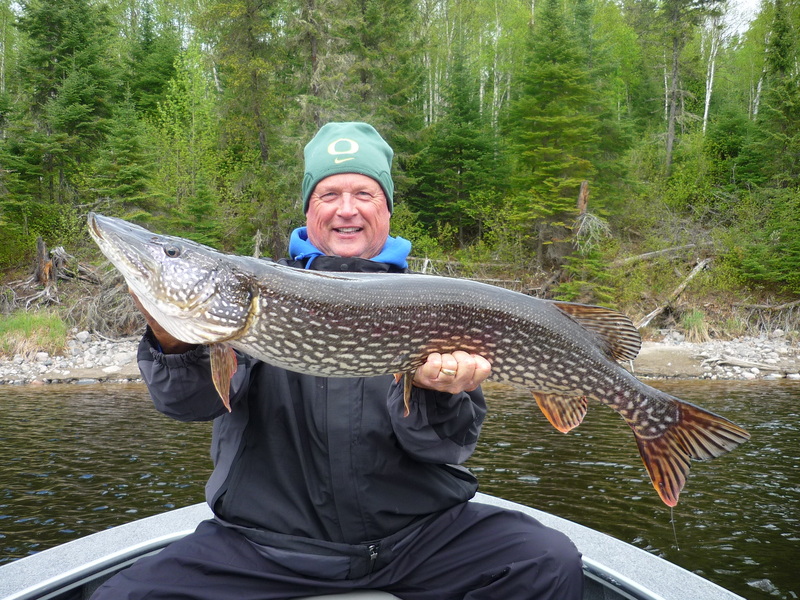 The super shallow water did cool off significantly driving both walleyes and pike out of what would be considered some of our most consistent early spring spots. They didn’t go far. Key spots were the first transition to deeper water in the area and that adjustment was easy for the guys chasing walleyes. 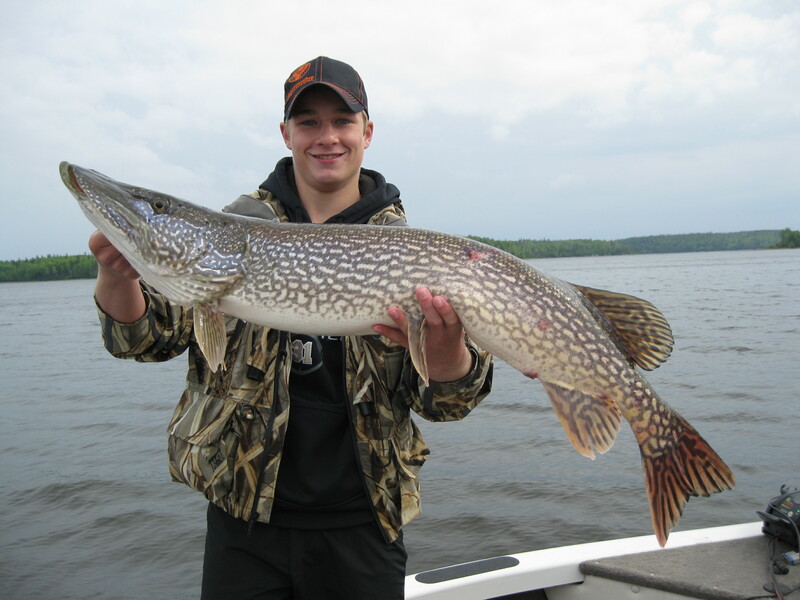 It was a different story for big pike hunters with their minds set on casting big plugs and spoons. 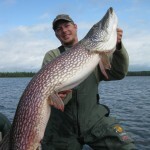 We still caught big pike casting at the mouth of rivers and creeks with sucker runs, but many of the big pike caught this week were on jigs while walleye fishing. 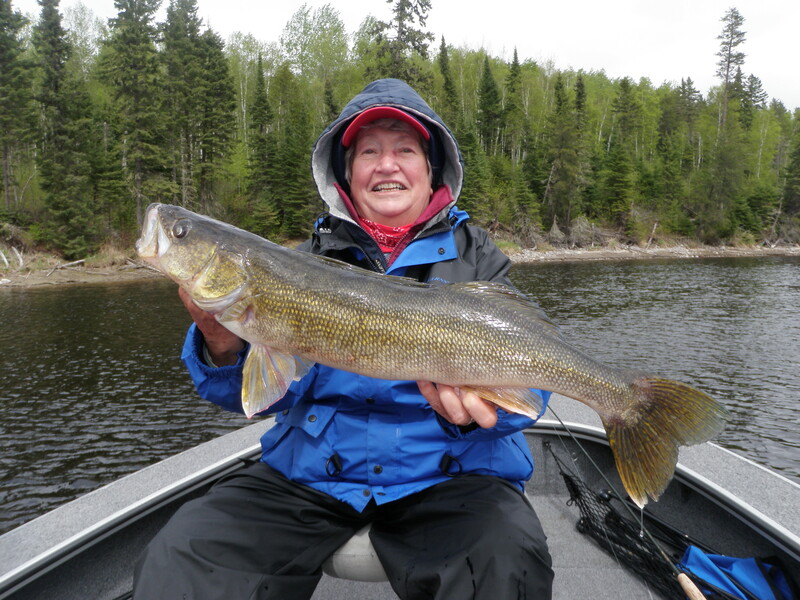 The most consistent walleye bite was found in 8 – 12 ft. of water this week. 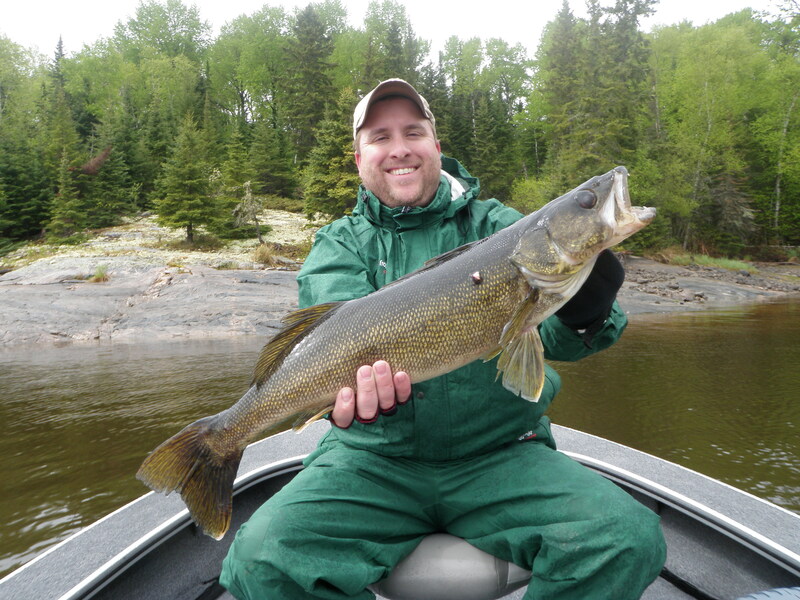 There was the occasional fish caught in super shallow water, but there were also walleyes found down in 16 – 18. 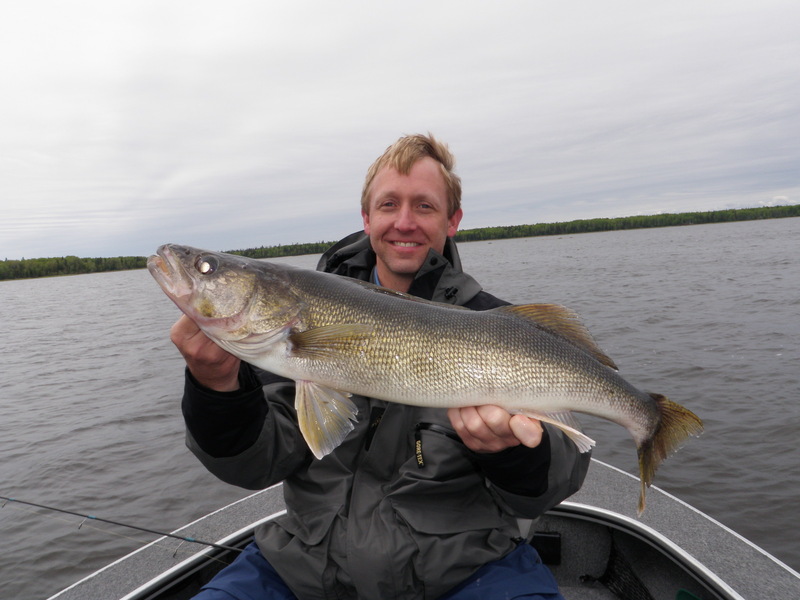 Walleye volume fell off a bit this week with guide reports averaging 25 fish over 18 inches per day. 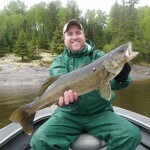 Despite the drop in numbers we still had a great week for big walleyes with 35 over 27 in., including 7 – 28s, 1 – 29, and 1 – 30. 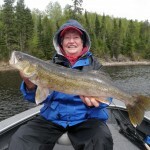 Walleye fishing was primarily a jig and minnow bite with time split 50/50 between ¼ oz. and 1/8 oz. jigs. Presentation speed was a little slower this week with many fish in a neutral feeding mood. 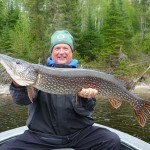 We spent a great deal of time casting for pike in shallow bays with modest results. 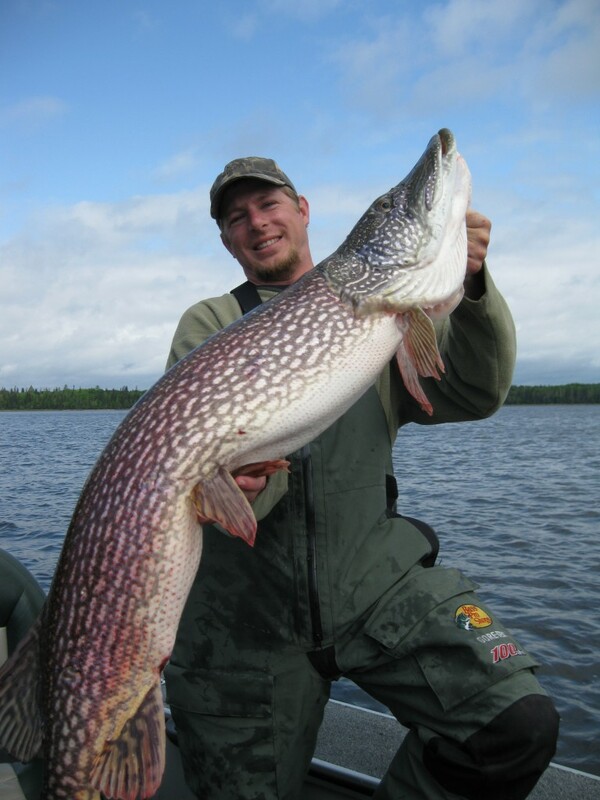 It was still a good week for big pike numbers. We had 23 over 37 in., including 3 – 40s, 3 – 41s, 1 – 42, 1 – 44, and 1 – 46. 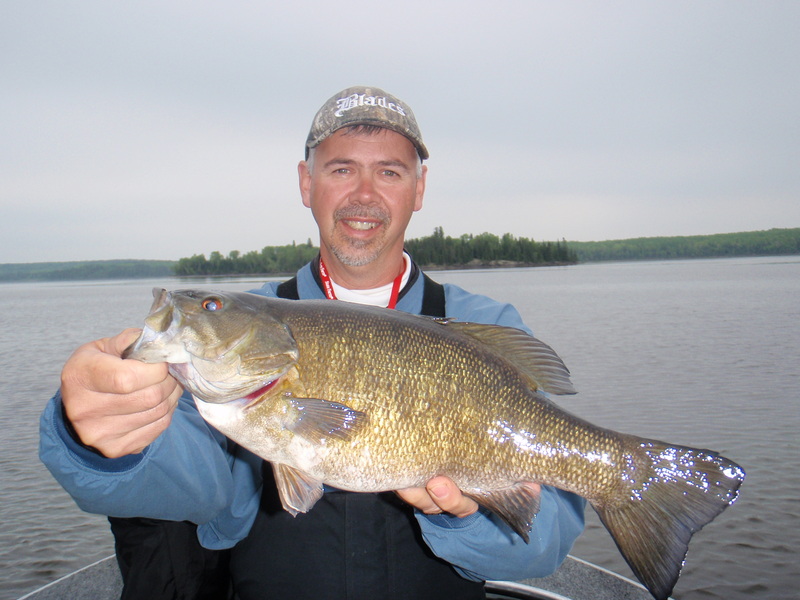 The three biggest were all caught on jigs and minnows while walleye fishing. A few groups targeted bass this week. 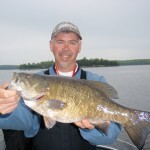 Considering the cool surface temps, the results were good as the smallmouth are just becoming active in the shallows. Jigs tipped with twister tails and small cranks were the most productive presentations. For the week we had 43 over 17 in., including 9 over 19 in. After a full afternoon of casting for pike, a senior guide met up with other crew members around the photo printer checking out picture of a giant 46 in. 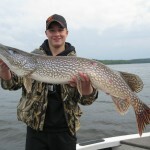 pike that had been caught that day while walleye fishing.